Papa John’s Pizza University Mall branch. Photo credit to www.vozzog.com. 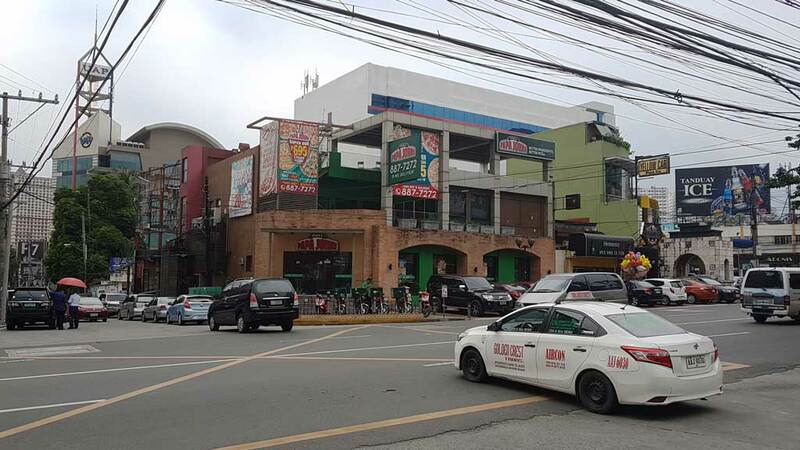 The first time I heard about Papa John’s was when they opened a branch at the University Mall (U-Mall) on Taft near my place of work and I treated my daughter there for lunch. Sadly, that branch is no longer around but then … good news! 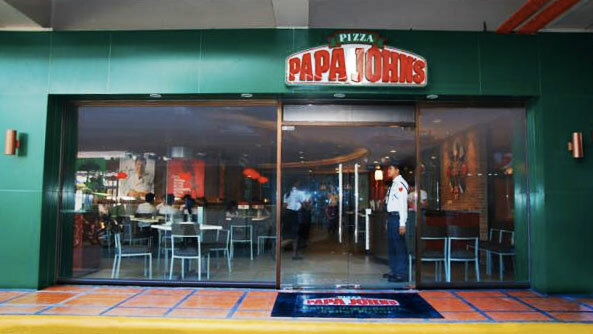 There are more branches of Papa John’s Pizza now, and even more are opening soon! All over the world there are 4,700 branches. Wow! That’s a lot of branches. In the Philippines alone there are currently 16 branches with more to open very soon. So where are these branches in the Philippines, you may ask? Here’s a map and a list for your convenience. Check out the BLUE pizzas. And more branches opening locally are opening soon! Check out the RED pizzas. Whew! That’s a lot of branches! 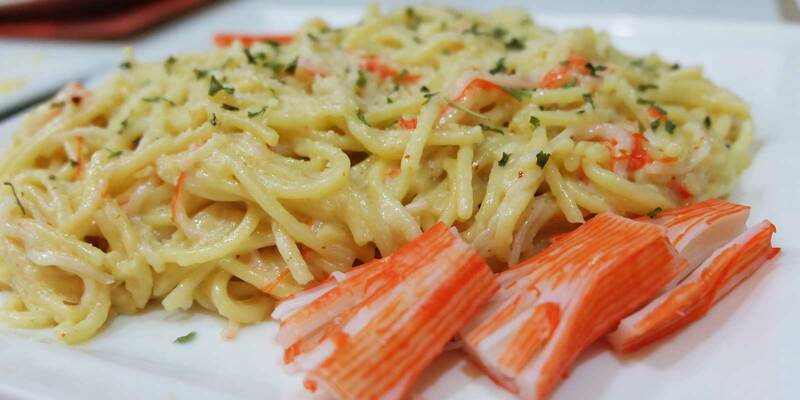 You’re sure to stumble into 1 or 2 branches as you traverse through traffic in Metro Manila. 😀 My favorite branch, though, is the one on Tomas Morato. Probably because they have more space (multiple floors, people!) but basically, because it’s near where I live, hehe. Now that you know where to go it’s time to know what you can enjoy while you’re there. Pizza, pizza, pizza! That’s what Papa John’s is all about. But there are 6 flavors which they proudly say are their specialties: All The Meats, Cheesy Bacon Melt, Chicken BBQ, Chicken Bacon Ranch, Super Papa, and Texas Heat. All Papa John’s Pizzas are served with a side of pepperoncini and garlic butter sauce. When I first encountered this I was surprised. That isn’t something that happens in other pizza restaurants. And these are big peppers, similar to the one used in sinigang. I love spicy food but even I approached it with caution. Now, if you (like I) can munch on a pepperoncini then you are sure to enjoy this. The pepperoncini dynamite! Ta-daaah!!! You’ve likely eaten many pepperoncini in your life whether you’ve realized it or not. But I assure you, they’re nothing compared to Papa John’s Pepperoncini Dynamite. This goodness is bacon wrapped pepperoncini stuffed with cheese sauce for a melt-in-your-mouth surprise. What’s new at Papa John’s? mexican ole – for those who REALLY like it spicy! Not included in the pics above is the pineapple caramel stromboli, which, incidentally, is not yet available in stores but will be soon. Does seeing all that food make you hungry? But at the same time does it make you worry about your wallet? Not to worry! 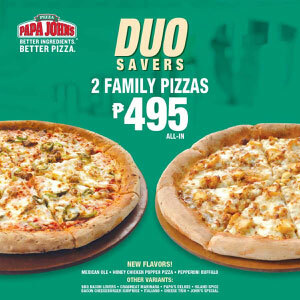 Papa John’s loves the fact that Filipinos love to eat together and so they have a bunch of promos made especially for groups. I confess, I LOVE promos! Especially when the whole family comes together at home and everyone wants pizza … promos are there to save the day! 😀 Here are Papa John’s super duper awesome promos. Two is better than one! 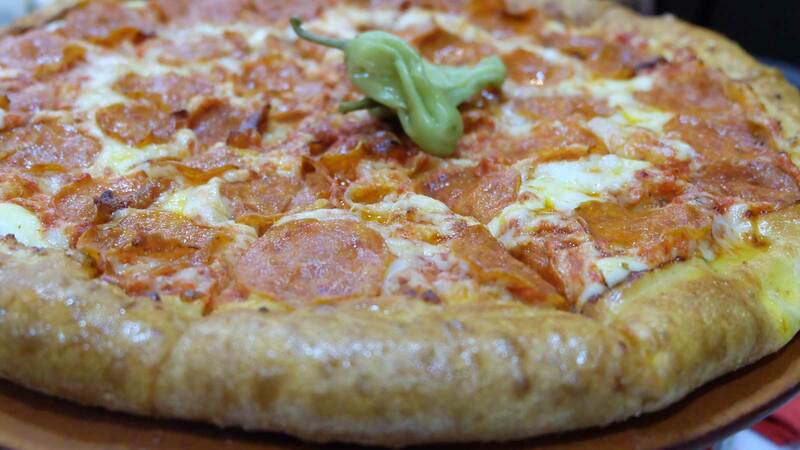 Buy any 14-inch pizza and get 2 sides for free from Friday to Sunday only. Choices for free side items are: 4 glasses of iced tea (dine in only), pepperoncini dynamite, cheese sticks, herbed parmesan breadsticks, single served featured pasta and season wedges. This promo can only be enjoyed in the store and not for delivery. Double deal! 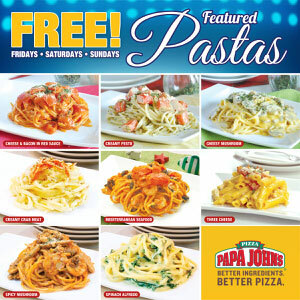 Get 2 Party Featured Pizzas for only P695. SINGLE FLAVORS: Cheese Trio, Mexican Ole, Island Spice, Papa’s Deluxe, BBQ Bacon Lovers, Crabmeat Marinara, Pepperoni Buffalo, Bacon Cheeseburger Surprise, Honey Chicken Poppers Pizza. HALF & HALF: Mexican Ole & Papa’s Deluxe are not available for Dine-In. Start your Monday with a bang! 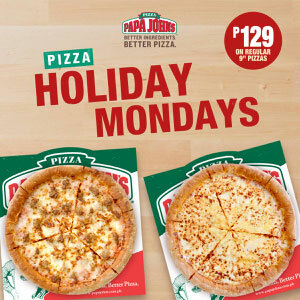 Grab our selected regular sized pizza for only P129 every Monday only. Variants included are Bacon and Cheese, Simply Cheese, Italian Sausage and Cheese Trio. Not available for delivery. Come to our Happy Tuesdays. Experience our freshest pizza ingredients. 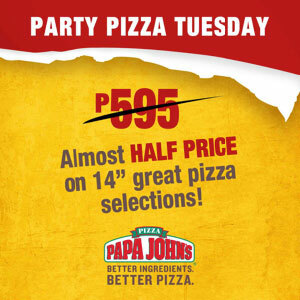 Selected party sized pizza for only P299 every Tuesday only. Variants included are: Chicken Bacon Ranch, Texas Heat, Simply Cheese, Garden Special, The Hawaiian, Pepperoni, Cheese Trio, Cheesy Bacon Melt and Cheesy Margherita. Available for dine-in, take out, and delivery. At the end of the day, though, I must confess, these are my favorites. Papa John’s Pizza. Better Ingredients. Better Pizza.